Garden Decking Prices, Cheaper Than You Might Think! Get ready for the summer barbecues, family parties, gatherings and general R & R time with new timber decking systems from Conifer!!! 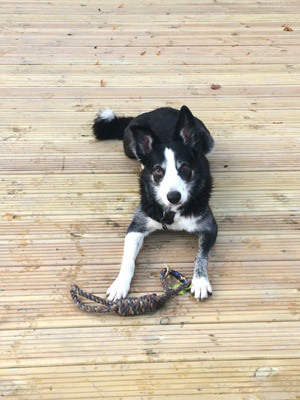 A basic timber decking system, with post-holes dug and 100mm treated timber posts concreted in to the ground to offer stability and rigidity, a weed membrane and side trims ready to use! Example: 4.5m x 2.0m area of quality timber decking for as little as £1199 +vat! So why not cover those old slabs you don't want to see! Cover that scrub ground! Cover that broken old concrete patio! 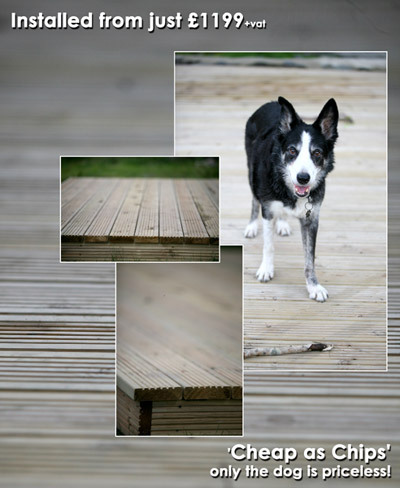 Have a beautiful new decking area in timber or composite decking for far less than you might think! Not only will you love the new look but it will revitalise and add value to your home! 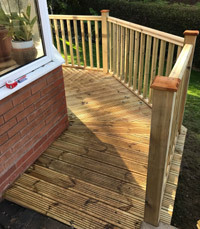 As you would imagine, most of our work is completely bespoke and suited to your requirements as everyone's property and garden is unique so please get in touch for decking prices on Freephone 0800 001 4213 or e-mail to arrange a site visit and we'll have you enjoying your garden before you know it! We mainly cover the Chester, Saltney, Cheshire, Shrewsbury, Telford, Oswestry, Shropshire, Welshpool, Wrexham, Clwyd, Powys, Gwynedd, Aberystwyth, Ceredigion, Mid Wales and North Wales areas - wherever we're needed!